Headlining Splore is Chris Oh!, an ex-shy Kiwi who has redefined himself with his sultry moves and perky bottom. This acclaimed burlesque performer has won accolades worldwide and leaves women and men breathless—and a tad confused—with his act. The dedicated performance zone, the Living Lounge, will be a showcase of skill and talent. 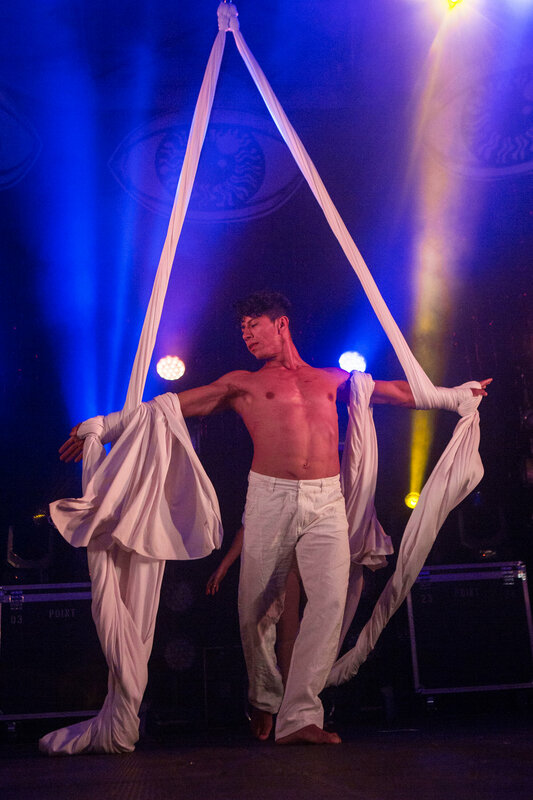 Over the weekend the Living Lounge will be invaded by dancers, tricksters, aerialists, and loopers and soaked in comedy, burlesque, and just general tomfoolery. Tickets have unfortunately sold out.